When I decided to go ahead with planting Ember Church in the fall of 2010, I was overwhelmed by the process. I knew there was a lot of work to be done, but I didn’t know where to start. I found a lot of books on church planting, but couldn’t tell which ones were good and which ones weren’t. I tried judging those books by their covers, but this turned out to be a bad idea. The old saying is true after all, I suppose. It wasn’t until several months into the process that I finally picked up The Nuts and Bolts of Church Planting by Aubrey Malphurs, and I immediately wished I had read this book sooner. This book is exactly what it says it is: the nuts and bolts of a project that can often seem overwhelmingly complex and about as solid as water. 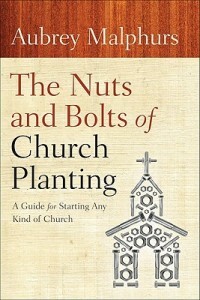 Malphurs helps the reader get his hands on and head around the process of church planting. The Nuts and Bolts of Church Planting demystifies the church planting process and gives new church planters (like myself) a plan and some solid direction for accomplishing their end of this task. He simplifies the ministry of the new church down to the overall mission of the Church, which is to make disciples. Keeping this mission in the front of your mind, regardless of how you frame it for your church, will keep you on track as you trudge through the difficult phase of church planning and planting. 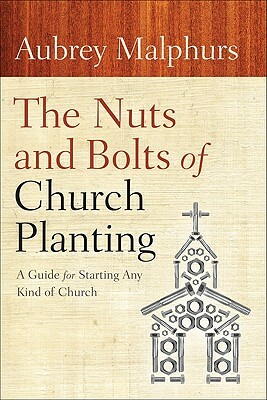 As somebody who is doing this right now, I can’t think of a better book to give to church planters than Aubrey Malphurs’ The Nuts and Bolts of Church Planting. It’s simple, practical, readable, and comes with an abundance of support material (16 appendices!) to help guide you through this difficult process. If you’re thinking about planting a church, read this book first. If you’re on a church plant team, get it for your pastor! The more time you spend with this book, the more time you will save and the more frustration you will avoid in the church planting process. 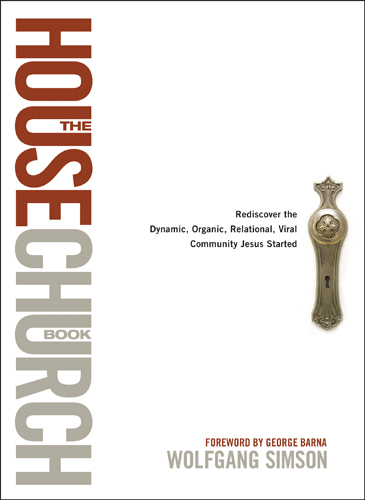 The only bland thing about Wolfgang Simson’s The House Church Book is the title. 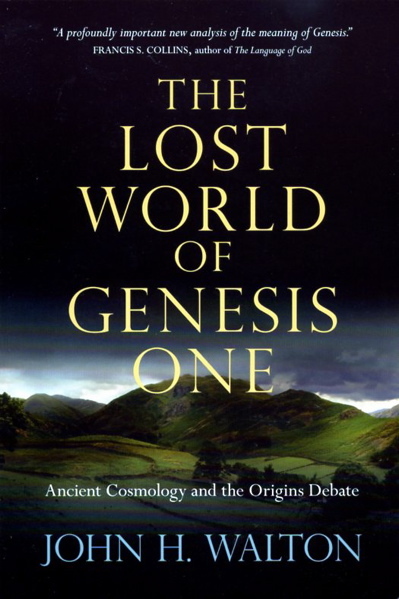 From the first page he confronts the reader with a passionate and prophetic call for the Church to return to its biblical and first-century roots of form and expression. Whether you agree with him or not (and you’re likely to find yourself shouting “Amen!” on one page and crying foul on the next), Simson offers a compelling vision for how to move the Western Church forward. The two major themes of Simson’s book are: 1) The shift from organized to organic church, and 2) The application of the fivefold ministry (from Ephesians 4:11) to the leadership structure of the local church. These two themes come up again and again as he advocates for a smaller and broader church structure, one that is worked out, not in cathedrals or auditoriums or “sancti-nasiums”, but in living rooms and dining rooms and backyards. According to Wolfgang Simson, the way forward for the Church in the twenty-first century is to look back to our brothers and sisters in the first century and find in their congregational models God’s intended plan for his people. As long as we try to grow our congregations large, the individual Christians and the gospel itself will remain small. 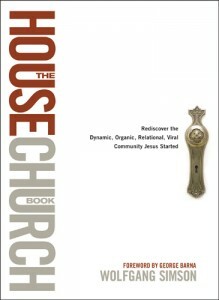 Questions: Is the house church model the God-ordained, biblical model of Church for all places and all times? How do small groups in large churches succeed or fail to live up to the house church model? Is the single-leader, pyramid structure of church leadership an acceptable model for God’s people? Is the fivefold ministry for today? If so, how would it look if it were implemented in your church? 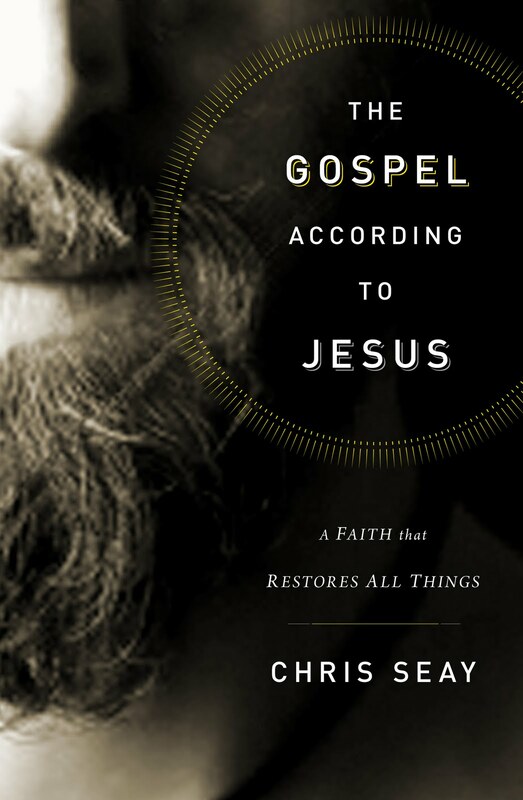 After buying it at a book store that was going out of business, I was very much looking forward to reading Chris Seay’s book, The Gospel According to Jesus. 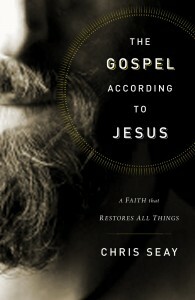 In fact, I almost bought his book The Gospel According to LOST, but I decided against it. I think I’d like to go back and read that one now, too. The thesis of The Gospel According to Jesus is that Christians have long misunderstood the concept of righteousness, and therefore misunderstood their faith. We have mistakenly categorized righteousness in terms of morality and good behavior, he says, and have grossly mistaken the gospel of Jesus Christ for a set of rules and regulations for life. The impetus for the book seems to have come from a Barna survey in which a majority of Christians (including active churchgoers) confessed to being unfamiliar with the term and concept of righteousness. Of those who had heard of the term, most associated it with holiness or faithfulness. We also know what [God’s] righteousness is not: a morality that can be attained by the works of man. The best, simplest translation of the word righteousness is “restorative justice.” God is stepping into our brokenness and making things right, taking fragments shattered by sin and restoring them to fullness. …Seeking his righteousness is about being an active agent for his restorative justice in all creation. By this definition, the righteousness of God is the activity of the restoration of creation through the outworking of God’s justice. Jesus said that we are to “seek first his kingdom and his righteousness”, that is, God’s restorative justice. Our task, as disciples of Jesus, is to see that God’s restorative justice is enacted on the earth. 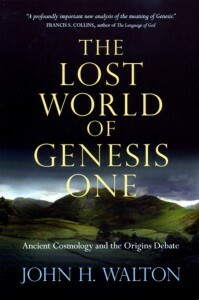 For example, Genesis 15:6. Abram believed the Lord, and he credited it to him as righteousness restorative justice. Or Deuteronomy 6:25. And if we are careful to obey all this law before YHWH our God, as he has commanded us, that will be our righteousness restorative justice. In fact, perhaps the most damning case comes from Matthew 6, the same chapter in which we find the command to “seek first his…righteousness.” Verse 1 reads: Be careful not to practice your righteousness restorative justice in front of others to be seen by them. If you do, you will have no reward from your Father in heaven. Chris Seay was very upset because he believed the church was getting righteousness wrong. But it seems that Chris Seay has also gotten righteousness wrong, or at least defined it too narrowly. I can’t attempt to provide a definition here, but I believe that restorative justice is part of what righteousness means, but by no means all of it. With that, somewhat major, caveat, I thought this book was excellent, and well worth a read by anybody trying to figure out how to follow Jesus well with others. This is really a book about being disciples of Christ together, and the author even models that by bringing in other voices for conversation at the end of each chapter. The most beneficial chapter is actually the last one: The Ten Commandments of a Shalom Life. In that chapter, Chris draws on his experience as a pastor and church planter to give a good and biblical perspective on how to live well the commands of Jesus together. All in all, this was an interesting and thought-provoking book that will resonate with younger Christians who feel caught between the pull of conservative fundamentalism and liberal emergent-ism. I hope I may own in sincerity, that my heart’s desire unto God, and the chief design of my life in the station wherein the good providence of God hath placed me, are that mortification and universal holiness may be promoted in my own and in the hearts and ways of others, to the glory of God; that so the gospel of our Lord and Saviour Jesus Christ may be adorned in all things: for the compassing of which end, if this little discourse…may in any thing be useful to the least of the saints, it will be looked on as a return of the weak prayers wherewith it is attended by its unworthy author. 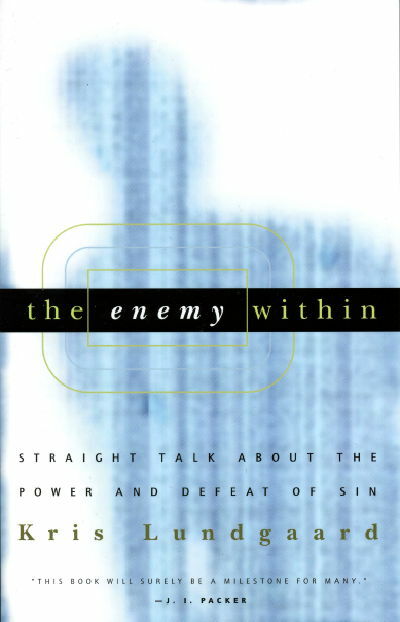 Thank God Kris Lundgaard has taken Owen’s thoughts and distilled them into an eminently readable book, The Enemy Within. The book deals with the question: “If God has redeemed me from sin, and given me his Holy Spirit to sanctify me and give me strength against sin, why do I go on sinning?” This is a crucial question, one that plagues every serious Christian at some point in their lives. The flesh is more than God’s enemy: it is the enmity, the hostility, the pure hatred [of God] itself. Two enemies, no matter how deep the river of their bitterness runs, can make peace–but only if the hostility between them is destroyed. It is impossible to make peace with hostility itself. The solution is, as John Owen wrote, is the mortification of sin. Our flesh, the sinful nature, must die. The sin inside each one of us will never accept a cease-fire peace treaty with God because sin is not the enemy, it is the hostility. In order for the believer to be free from the power of sin, it must die. The good news is that our sinful natures were crucified with Christ. The crucifixion of our sinful natures is what God is working out, what he is actualizing in our lives through the power and presence of the Holy Spirit. The mortification of sin in us is the process of sanctification. The sinful nature dies every day, and every day the image of Christ lives more and more in and through us. Through this process, we, who were once enemies of God, become his friends as the hostility between us (our sinful natures) is destroyed. I’ve not read John Owen, and probably never will. But Kris Lundgaard seems to have done an excellent job writing a book that distills Owen’s meticulous thoughts on sin and sanctification into a readable form.